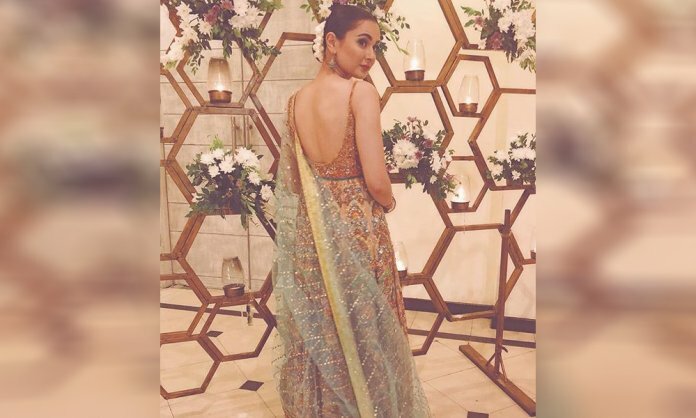 The Pakistani beauty Hania Aamir never fails to impress by giving epic replies to her trolls. The Parwaaz Hai Junoon star, who is not afraid to speak her mind, became the target of online bullying yet again and she dealt with it like a pro. Hania Aamir posted a picture on her Instagram account, who looked drop-dead gorgeous by the way and received a number of tasteless comments on it. The moment she posted the picture, her haters on social media started posting nasty comments on it. One girl left a series of comments criticising her dress, but Hania perfectly shut her down. Hania agar dusra bazu cover hota to kitna acha hota. Apki behen. You sound exactly like my mom. Way to go girl! more power to you! The starlet was actually appreciated for her great sense of humor as well! This is not the first time that the actress is hitting back to her haters. She knows how to handle the internet troll like a pro. What are your views on Hania Aamir’s reply to her hater? Let us know in the comments section below.